Since 1986, Craig has provided ethical, assertive and fairly priced legal representation to clients seeking friendly, creative and fair solutions to legal matters. After working with thousands of clients throughout his career on a variety of cases in the Minneapolis-St. Paul area, he understands that each client’s case is unique. Whether his client seeks a lawyer to assist with buying or selling a house, starting and incorporating a business, preparing a will, administering a trust, navigating the probate process, fighting a traffic ticket or criminal charges or other legal matters, Craig is ready to handle each case with incisive professionalism. The legal system can be complicated and confusing to the uninitiated. Whether you are facing criminal charges or need legal documents drafted or reviewed, you can benefit from having Craig assist and advocate for you. Let experience and knowledge ease the legal questions you are facing. 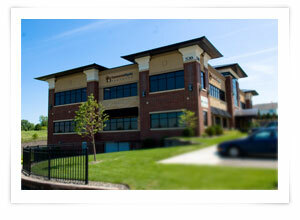 Baumann Law Office offers a free initial consultation to all prospective clients.